A collection of users running Kubernetes in production. 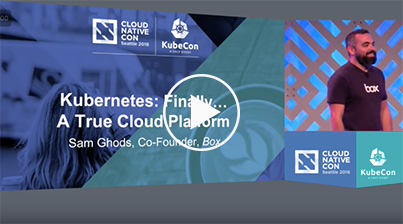 "I would almost be so bold as to say that most of these applications that we are building now would not have been possible without the cloud native patterns and the flexibility that Kubernetes enables." "The big cloud native promise to our business is the ability to go from idea to production within 48 hours. We are some years away from this, but that’s quite feasible to us." "Kubernetes has the opportunity to be the new cloud platform. The amount of innovation that's going to come from being able to standardize on Kubernetes as a platform is incredibly exciting - more exciting than anything I've seen in the last 10 years of working on the cloud."